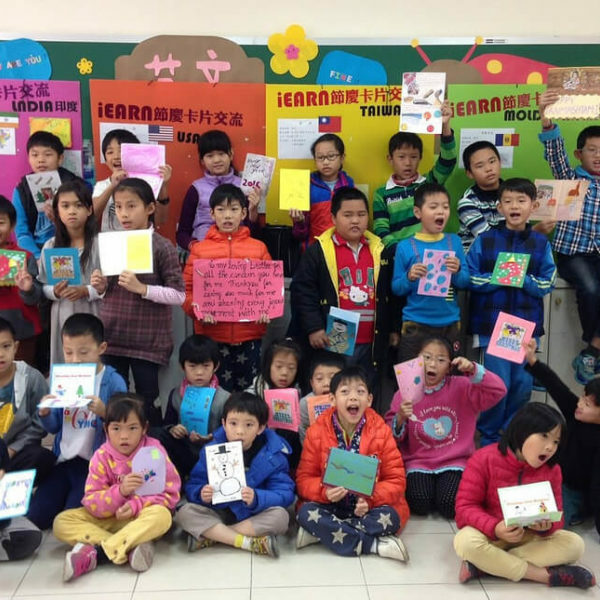 Students and teachers from Algeria, Egypt, Lebanon, Morocco, and the United States participated in the Earth Stewardship Project through iEARN's BRIDGE Program. This project fits in the physical science curriculum. Through the project, students applied scientific investigations to test the physical properties of different soil samples and to characterize the quality of their local soil's physical composition. In week one of the project, students from each school documented and shared the physical measurements of their soil samples. 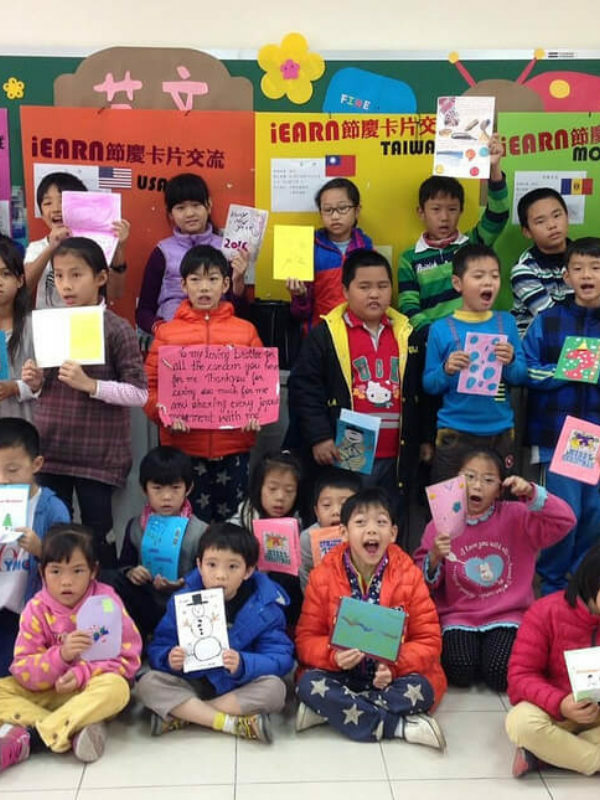 This led to a rich discussion, in which students compared and contrasted the physical attributes of soil around the world and its different purposes. 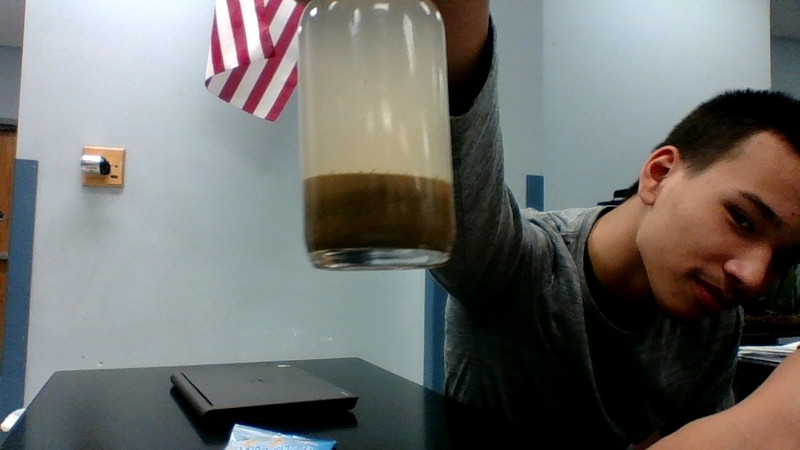 Students thought about reasons for differences in soil texture within the local school environment and at schools around the world. During the second week of the project, students had the choice to research different information about soil, including its structure, formation, composition, and factors that determine the soil profile in their environment. Then, they shared their research, becoming the teachers in their areas of expertise. Developing this background knowledge prepared the students to think about composting during week three of the project. 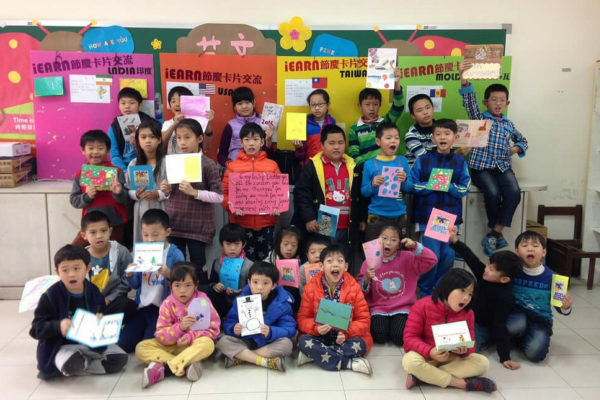 They began by working together to brainstorm ideas about composting, before moving on to writing about the composting process and creating their own composting unit to help enhance their local soil. 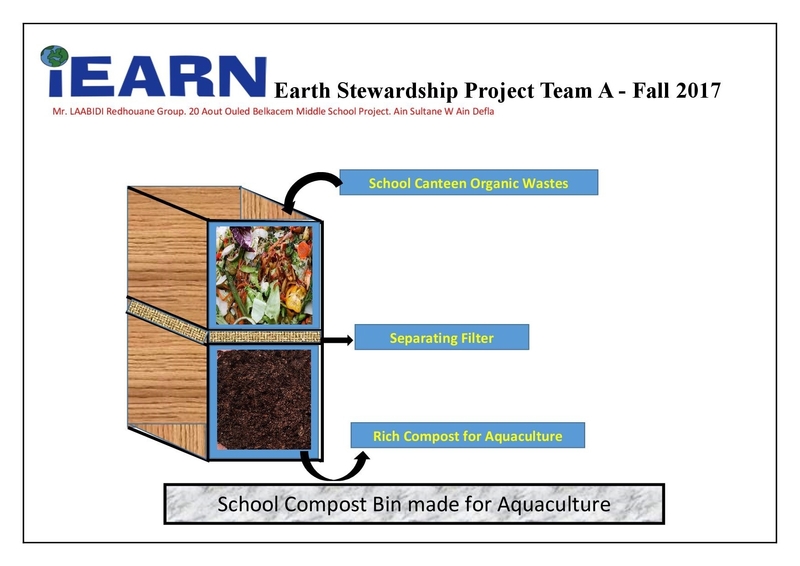 Students from Algeria came up with this design to bring composting to their school! 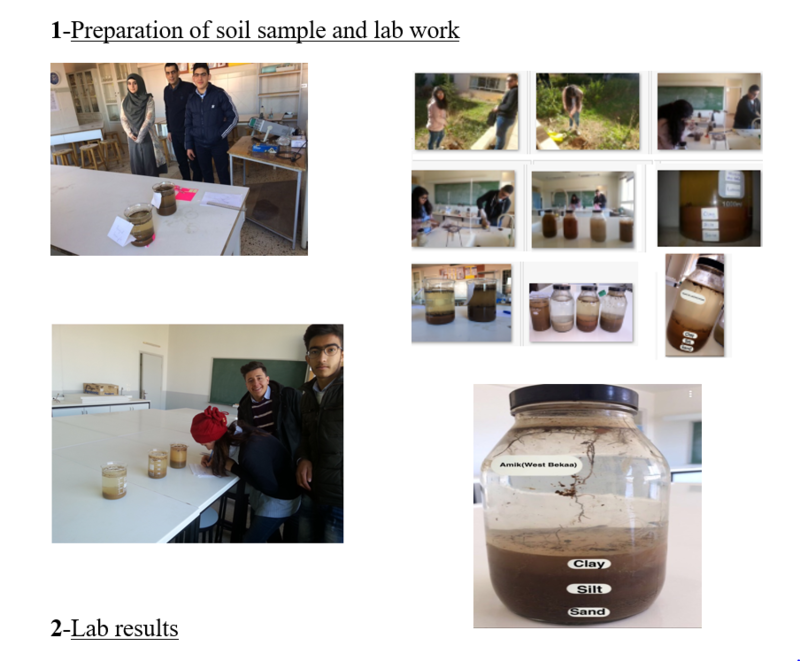 The project culminated in week four, when students investigated and researched sources of organic waste in the community that could be processed into nutrient-rich humus. One school in Colorado, USA completed their project by making sure they knew how to correctly sort waste into trash, recyclables, and compost. 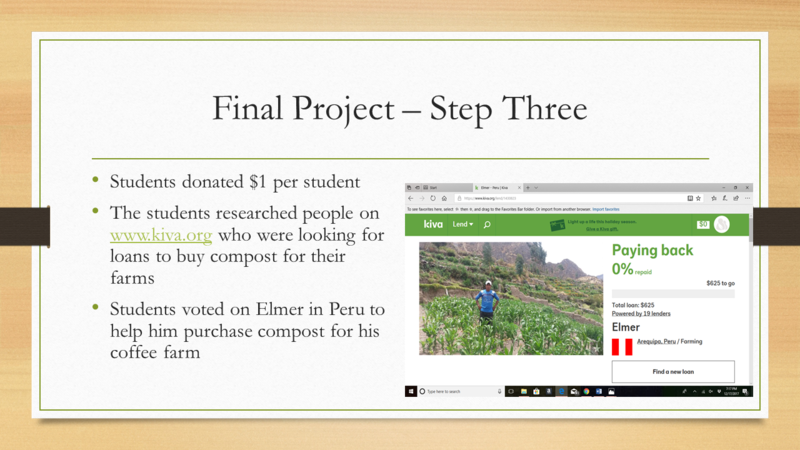 After understanding the impact that compost can have on soil, they raised funds and gave a loan through www.kiva.org to a farmer in Peru who was looking for a loan to buy compost for his land. Since their loan will be repaid, the project will continue in the future when the next grade of Colorado students gets to choose a new recipient to fund!